Looking for a straighter smile? 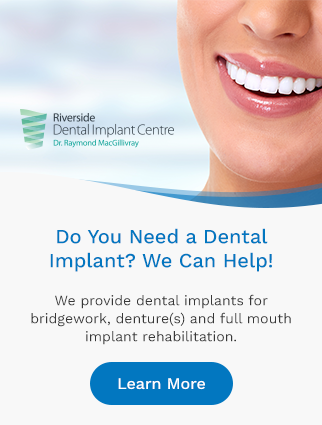 At Riverside Dental in Sydney River, we offer orthodontics to help you achieve a straighter, healthier smile. At our Sydney River dentist office, we use precise techniques and appliances (such as braces) that correct problems with your teeth, bite and/or jaw over a period of months or years. The goal of orthodontics is to improve both the appearance and function of the smile and bite! Provided the teeth are healthy, people of any age can benefit from orthodontics in one form or another, from young children, to teens, to older adults. If you think you or your child could benefit from orthodontic treatment, please contact Riverside Dental in Sydney River to book a consultation and evaluation appointment with our team.